The only way forward is change. Every industry is in a perpetual state of disruption. Building new visions has become an essential growth strategy. Technology plays a key part in creating competitive advantage for staying ahead in the market. Consumers expect more, and organisations are mobilising in order to satisfy their behavioural changes. 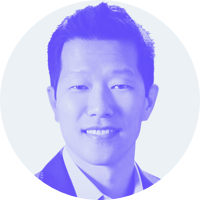 Kevin Lee is one of the most seasoned corporate innovation leaders around. With nearly two decades of experience leading digital design teams within some of the world’s most prolific brands, Kevin has seen firsthand the prioritization of corporate innovation proliferate over the years.He is a 10+ year veteran creative executive and design director with extensive experience in UX, product design and brand strategy. Greger has spent two decades in enterprise software, working in the US and Europe as an executive, product manager, design thinker, researcher, developer and technical seller. Most recently, he has been involved in the transformation of Product Management at IBM - a practice that was scaled to 1,000+ product managers and coached to dozens of product teams. This practice has been an integral part of building a world-class Design capability at IBM and leveraging user-centric design for market differentiation. Building a new country for global citizens, one which is fully digital, transparent, legitimate, inclusive and empowering. Espen is a serial entrepreneur with a proven track record building tech companies in Norway, New Zealand, Australia, and the US. 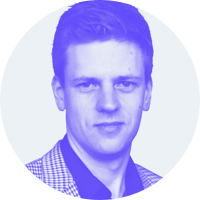 Espen started his first company at the age of 18 and has Fintech-background working as a consultant to the Bank and Insurance sector, as well as founding several companies. Espen is also part of the 500 Startups Alumni from Mountain View in Silicon Valley, with 3 exits from previous ventures.